Expert System provides a wide range of professional services, namely, the design of software for developing customized linguistic modules for categorization and extraction, and for enriching our knowledge graph on specific domains. These professional services aim to maximize the performance of the Cogito® technology for your business, adapting it to any vertical market software and integrating it with your existing systems. In addition to our standard features, existing Cogito® technology components and functions may be easily modified and implemented to fit the specific needs of your project. Based on the Cogito® technology, Cogito Studio is a fully integrated development environment for building and deploying custom Artificial Intelligence based applications. It supports the development of best-in-class text analytics solutions based on natural language understanding for all of your information management needs, implemented by our experienced and qualified staff. In the “The Forrester Wave™: AI-based Text Analytics Platforms, Q2 2018” report, Forrester stated that “Cogito® produced one of the highest levels of accuracy on an untrained data set among all participants.” Expert System also scored among the highest in the professional services organization and vertical specialization criteria. Thanks to Expert System professional services, our knowledge graph can be enriched to enhance the value of the information important for your business. Our Cogito® technology comes with built-in knowledge in the form of a knowledge graph called Sensigrafo, a map of language that contains 2 million concepts and entities and 6 million relations. This extensive proprietary language ontology has been built over 400 man-years of work and is continuously updated by our team of computational linguists. It is constantly enriched, improved and refined in order to better address a variety of applications and use cases, and it can be customized on specific domains. Integrating the knowledge contained in Sensigrafo guarantees accurate understanding and analysis of text based on the vertical domains or information contexts that are important to you, including your organization-specific terminology (product and project names, acronyms and codes, technical jargon, etc.). Through Expert System professional services, linguistic tools can be fine tuned in order to improve the accuracy of information analysis. Linguistic modules are used to support accurate information categorization according to taxonomy or extraction (for example, product or brand names, addresses, job descriptions, etc.) based on your information management requirements. 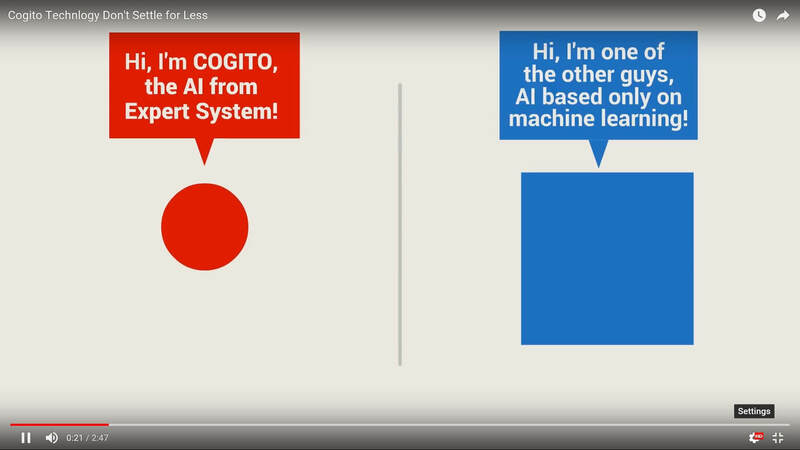 Cogito Studio, based on Cogito® technology, allow developers to write categorization and extraction linguistic modules or develop them automatically through machine learning algorithms. Content Analysis: Careful analysis of your content using our custom tools will help determine the need for linguistic modules writing and/or knowledge graph enrichment. Taxonomy Definition: In the absence of an existing taxonomy, we work with your content to organize the knowledge contained within, applying automatic semantic analysis for granular visibility of the concepts and topics present and for the development of linguistic rules to meet the requirements of your project. Our customized pre- and post- content processing software ensures that your content is compatible with required input and output formats for your project. Our software supports more than 200 file formats on the ingress side and provides a flexible range of standard outputs. It also supports proprietary data structures thanks to customizable input and output formatters. Our customized installation package contains all of the necessary components required for proper configuration and functioning of the implemented software. Expert System’s qualified staff installs the software in your hardware and conducts all necessary tests to ensure proper functioning and compliance with your functional requirements. Cogito® technology is easily integrated into the customer’s existing projects or processes (content management systems, databases, portals, etc.). We develop custom application layers as required to ensure proper system functioning; our Web Services ensure seamless integration and easy integration with Cogito® technology and any customer applications for optimal system performance. Expert System provides partners and customers with a comprehensive training program that enables independent use of the Cogito® technology for linguistic development and for the development of any applications that employ Cogito®. Project-specific training services are also available. Comprehensive analysis of customer material or of any information to be processed: this analysis is conducted to understand the type of content that will be processed, to identify any potential issues (to be discussed with the customer) or strategies to ensure better implementation.